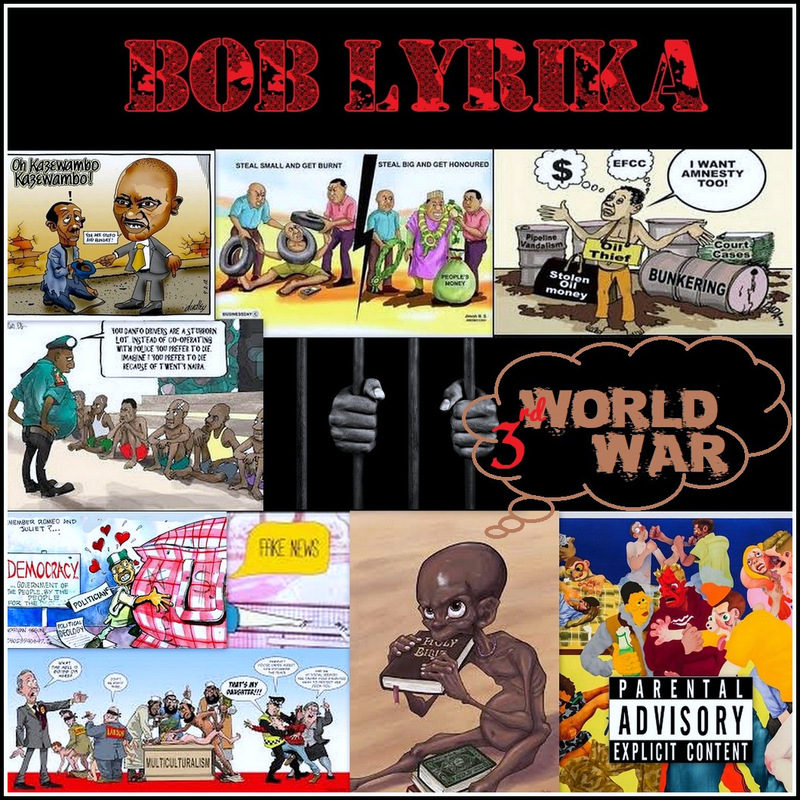 AYAYA MIXTAPE: Bob Lyrika – Third World War | @iamboblyrical #BeHeardBeSeen - AYAYAMEDIA - Be Heard Be Seen ! Omordi Christopher bobby aka Bob Lyrika is a Lagos based MC but originally from Ezi Aniocha Local Government Area of Delta State. He was inspired at an early age by pioneers such as Nas, Rakim, Guru, 2pac, Biggie smalls, Black thought just to name a few. Besides Hip hop, he is actually an Oracle certified professional and also into audio production/engineering. His debut project entitled “Third World War” is a gritty outlook on his day to day activities growing up in a 3rd world country. The overarching theme of the project dwells on the struggles faced by the average Nigerian who tries to make something out of nothing in a system that doesn’t provide an avenue for growth. Choice tracks include “5 am” where the rapper talks about getting up early to hustle to pay bills and stack his green, with lines like “Don’t need no alarm na the bills got me up /wake up wake up as my dreams topple up/ step up step up so I gatto buckle up like the blessings of a twin let my money double up” “Celebrate life” has more of a joyous vibe as Bob Lyrikal takes some time to appreciate the little he has because nothing lasts forever.”Celebrate life like a couple wey just born /cause nothing last forever you only live and die once it’s now or never” he said. The self-financed project shows the rapper’s tenacity and determination to get his music to the world even without a label or management behind him. Though running everything under his own imprint, Doper Man Entertainment. 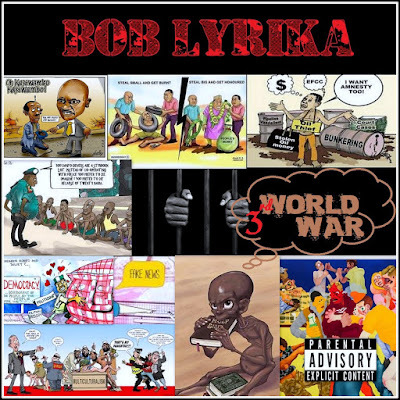 Bob Lyrika’s Third World War LP is worth listening, laden with thought provoking messages and lyrical depth, it’s a step in the right direction for the indie rapper.